Members of the House Oversight and Government Reform Committee on Thursday advanced a measure by voice vote to ensure that employees of the U.S. Secret Service are paid for all overtime they work through the 2020 presidential election. 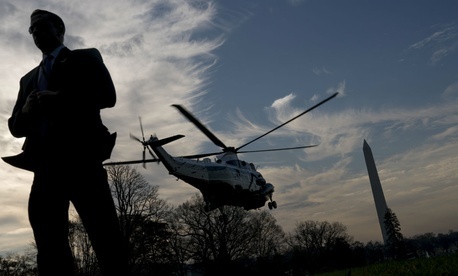 The Secret Service Overtime Pay Extension Act (H.R. 6893), introduced by Rep. Steve Russell, R-Okla., would waive the premium pay cap for agency employees for the 2019 and 2020 calendar years. Under the bill, Secret Service employees would be able to make up to Level 2 of the Executive Schedule in total pay, instead of the $160,000 mandated by the premium pay cap. In 2018, the waiver caps annual pay at $189,600. In recent years, the Secret Service has struggled with poor recruitment and retention, in part because more employees are running into the overtime pay cap. Russell said that without an existing waiver for the agency in 2018, nearly 1,000 employees would have hit the cap by July. Russell said that the agency has begun to make headway in addressing its recruitment and retention problems, noting that it is projected to grow by 350 employees this year, and attrition is expected to decline by 7.5 percent. Rep. Elijah Cummings, D-Md., ranking member of the committee, introduced an amendment to apply the waiver to 2020 as well, citing the increased workload of a presidential campaign. Russell and Committee Chairman Rep. Trey Gowdy, R-S.C., both indicated that they supported the amendment, and it was approved by voice vote. “I think this does address a foreseeable underlying issue, and it will allow [the agency’s] recruitment numbers to take hold,” Russell said.